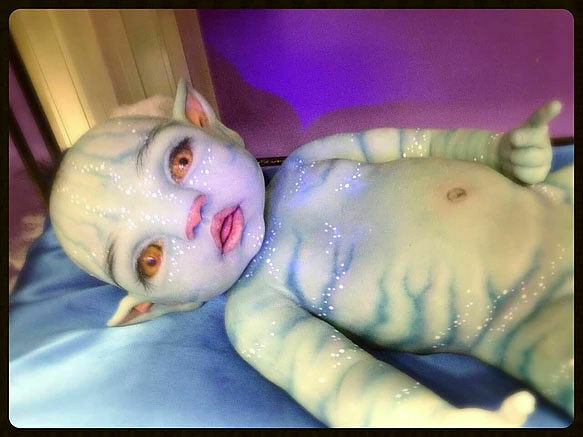 It's been seven years since James Cameron's Avatar movie came out and for some reason a Spanish company has decided now is the time to bring out some life-like silicon baby Avatar dolls. The company, Babyclon, specialize in creating very realistic-looking baby dolls, all made from platinum medical silicone "the most flexible, elastic and resilient there is in the market." 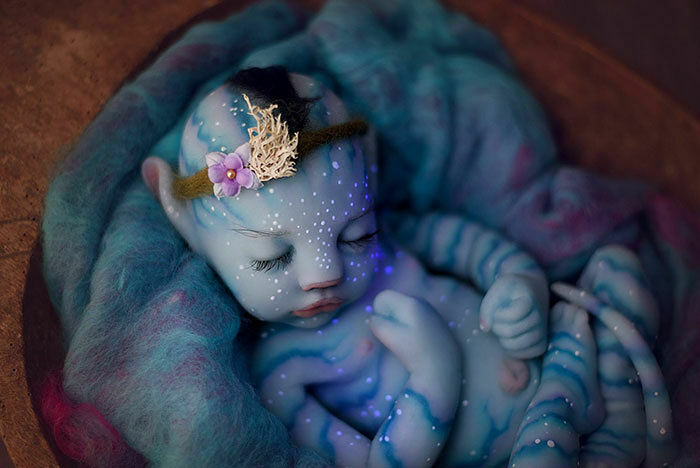 Usually they focus on human babies but have also released a series of Na'vi babies. A video of three of them snuggled up together surfaced online recently, causing quite a stir, featuring a woman's hand tweaking their ears and touching their tails. It's perfect timing for all Avatar fans who want a very 'special' Xmas present. Like Babyclon's human-looking babies, although impressive and kinda cute, the Na'vi ones are somewhat creepy too. Especially being made from silicon. If you want one you can get a normal one for €1,800.00 and one that drinks and wets itself for €2,060.00. 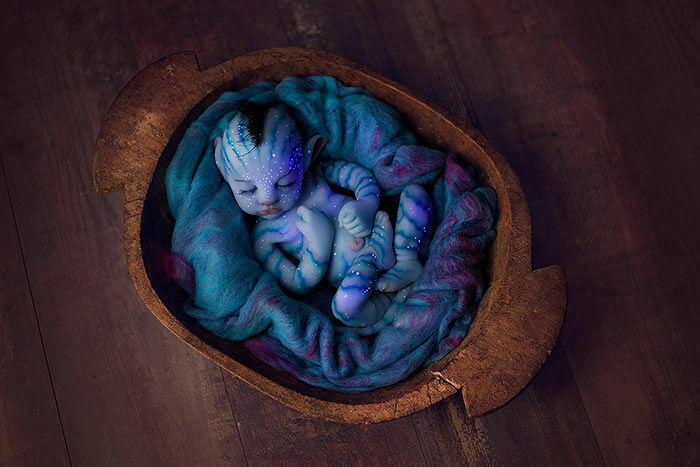 According to the company's website, they're going to be selling "Na'vi Preemie Avatar" soon too. Preemie stands for premature so not sure how they're going to look. James Cameron admitted to the Guardian website back in July that there would be a sequel to the original Avatar film lined up for release in December 2018, along with a third, fourth and fifth installment to follow. So expect these Avatar babies to become hot property anytime soon. Check out the Avatar babies below.